Miele are known for their outstanding build quality and reliability and our range of Miele dishwashers do not disappoint. From compact models to full size Miele dishwashers and integrated options, you should find a model to match your needs. When buying a Miele dishwasher you should think about the space it’ll be in, as the decibel rating can vary, which is important if you’re living in a compact city flat, or wish to wash your dishes at night when energy rates are at their cheapest. To measure that energy usage, each Miele dishwasher comes with an energy rating so you can judge how much it will impact those all important household bills. You can also see the water consumption per cycle in litres, which is often much less than you’d think. 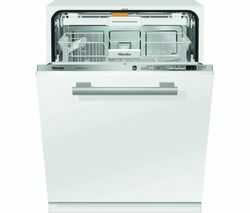 The majority of our Miele dishwasher range use just 6.5 litres per cycle! 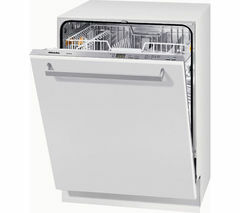 Our Hotpoint dishwashers also have a wide range of options offering great value and sleek design. If you’ve got a fitted kitchen then you can choose from a good number of integrated models, designed to slot into either a full sized or slimline space, with the controls neatly lined up on the top of the door. If you’re operating on a smaller budget then a Beko dishwasher could be the perfect choice, with a wide range of models offering excellent affordability with reliable, energy efficient models available for under £200. Whether you’re looking for a compact model or a large dishwasher for the family home, our range offers something for every kitchen.